You still may qualify for a refund even if you don't have taxes withheld. 2. What Happens If You Don't Pay Quarterly Tax Installments on Time? Most people have a portion of their paycheck withheld to pay the federal income tax and, in some cases, a state tax as well. After deductions and tax credits are figured in, the amount paid often exceeds the actual amount owed, and a tax refund is issued. 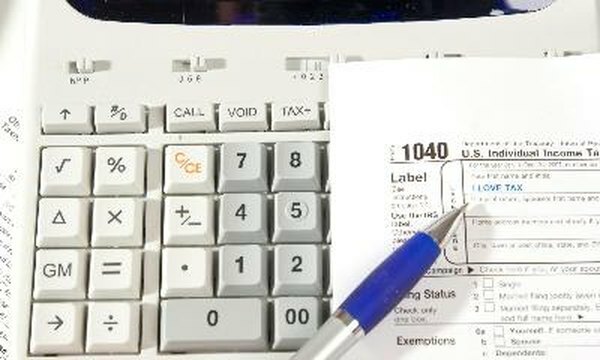 If you didn’t have any federal taxes withheld from your paycheck you may still get a refund, but there is a chance you could owe taxes instead. The amount you pay in during the year is an estimate of the taxes due on your income but does not necessarily equal the actual amount you owe. When it comes time to file your taxes, there are several adjustments made to your tax debt to determine the actual amount owed. In some cases, you may end up not owing anything on your taxes, or the amount you owe could be significantly reduced. Even if you haven’t withheld anything from your paycheck, you still may be able to reduce or eliminate your tax debt through adjustments, although this doesn’t automatically mean you’ll get a refund. It is possible to make tax payments to the Internal Revenue Service without having them withheld from your paycheck. These payments are referred to as estimated tax payments and are made to the IRS by mail, over the phone or by electronic withdrawals from your bank account, and they are credited toward your taxes in the same manner as payments that are withheld from your paycheck. Estimated tax payments aren't counted separately from paycheck withholdings when filing your taxes and are eligible for refunding just as withheld taxes are. The deductions and tax credits you claim on your taxes play a large part in determining whether you will receive a refund. Even if you don’t pay anything in to the IRS during the year, deductions and refundable tax credits can earn you a tax refund if your total amount of deductions and credits is more than you owe in taxes. It’s important to keep in mind that not all tax credits are refundable; some will reduce the amount that you owe but offer no additional benefit once the amount of tax you owe reaches $0. If the deductions and tax credits you claim on your taxes don’t reduce the amount that you owe to $0 or qualify you for a refund, you will have to pay the remaining amount to the IRS. Any payments must be sent in by the same due date as other tax filings unless you have applied for a payment arrangement with the IRS. Should your request for a payment arrangement be approved, you will have a payment schedule you must adhere to; fines and other charges may be added to the total amount that you owe as well. Can I Deduct Money Paid to the IRS?